Opening some secrets! 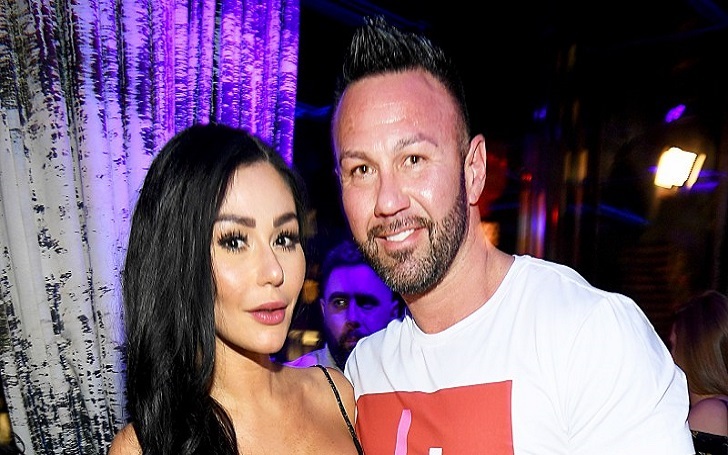 Jenni "JWoww" Farley has revealed that she suffered a miscarriage just before Jersey Shore season four's filming began. The tragedy took place in Florence, Italy, during an emotional sitdown with co-star Mike Sorrentino in tonight's episode of Jersey Shore Family Vacation. Three or four weeks before Italy, my grandmother passed, and me and Roger actually lost a baby. Not a lot of people know. During that season of the MTV reality show, which filmed in 2011, calling herself "a f--king mess", Jenni said it was because of the medication she was put on as she "couldn't handle life." But the medication, it was like Xanax. It would take me down…it was making me so groggy. Then I started taking uppers. Jenni and her husband Roger Mathews share two children together, a 3-year-old daughter named Meilani, and a 2-year-old son named Greyson. Mike also opened up about his struggles during that season, admitting the feuds with Ronnie Magro-Ortiz, including the moment when he bashed his head into a cement wall, were actually caused by withdrawals. The 35-year-old, who is now sober for two years, talked about trying to get clean during the original show's run. I tried to get my s—t together last time we were at Jersey Shore. I didn't have it together, but it was a big attempt. I just didn't know how to do it. I was trying to do it by myself. I would be sober for a year, but still maybe…smoking cigarettes, smoking weed. I had to realize my personality was an obsessive personality—anything I did. And I need to have a handle on myself. I have no ego. I'm humble as f--k right now. Listen, there is hope for the youth the way the Sit came out on top.